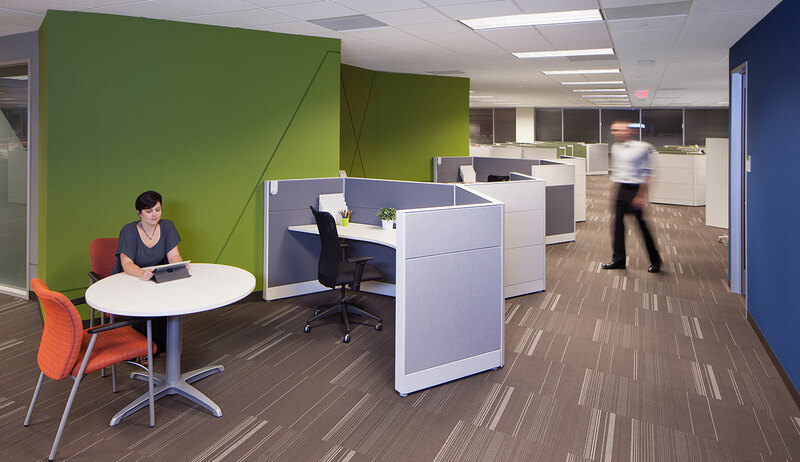 Corgan was selected to provide interior design services for Exeter, a vehicle financing company headquartered in Irving. 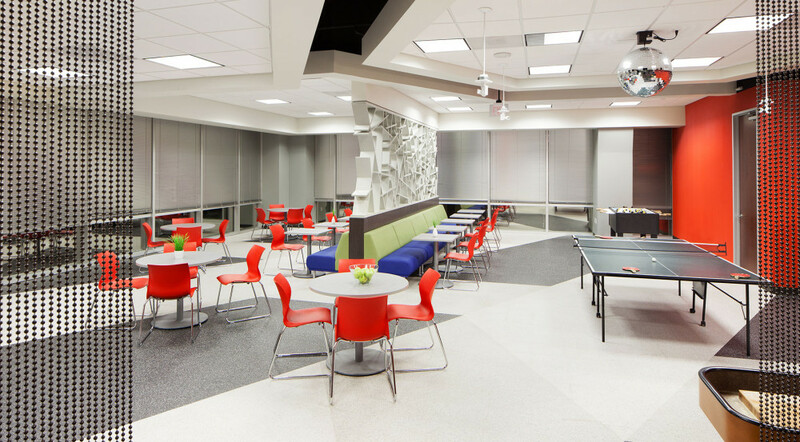 This 68,000-square-foot project consists of a three level operations/call center that includes a training center and large community breakroom. 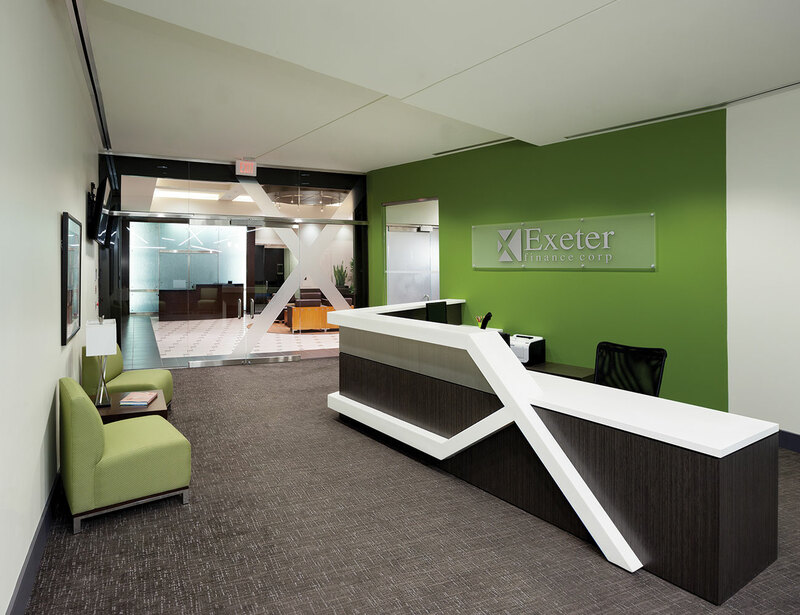 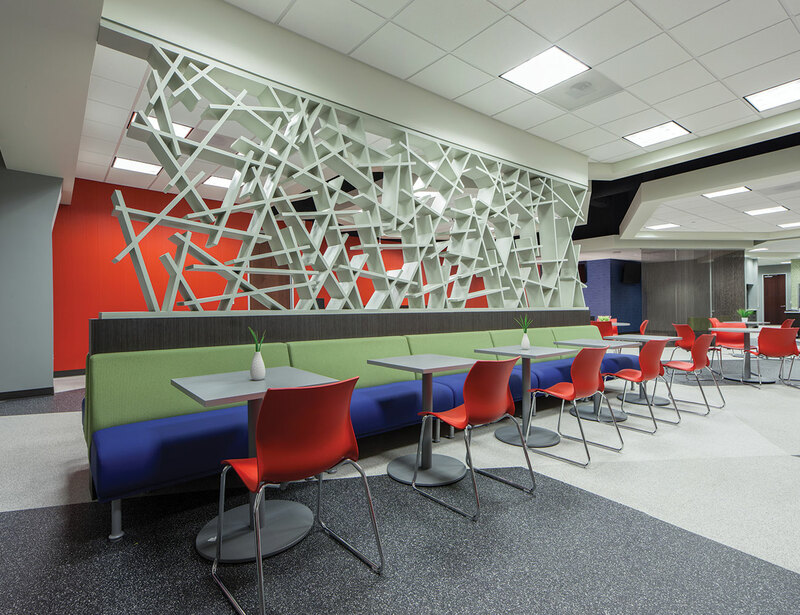 Corgan worked closely with Exeter to refine the design aesthetic of the existing space by updating carpet, paint, plastic laminate, and fixtures. 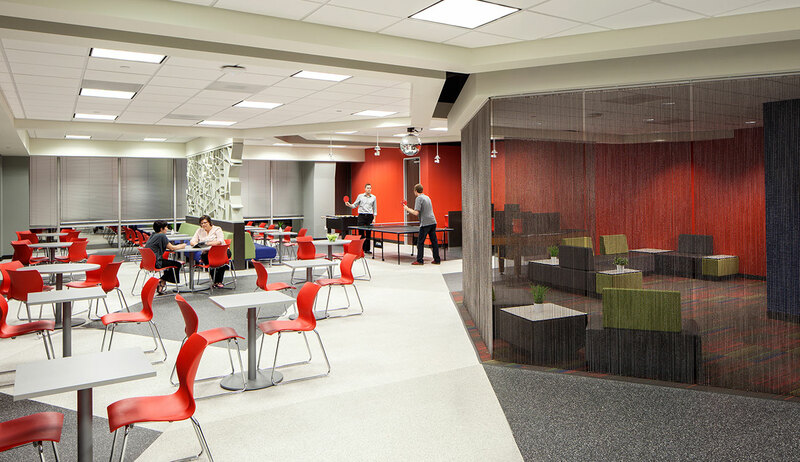 The energetic color palette, interactive game rooms and open office plan emphasizes the firm's collaborative nature.